Field study in North Carolina and South Carolina – French Treasury in the U.S. 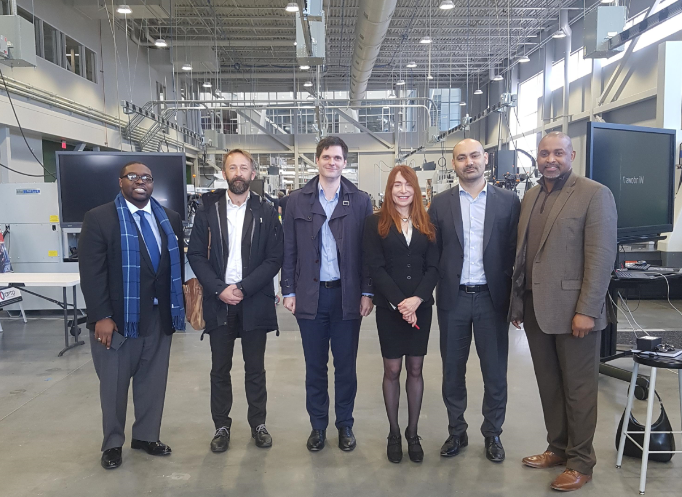 The Economic Department of the French Embassy in the United States organized a field study in North Carolina and South Carolina, looking at best practices in economic development, and how to further economic ties between France and this very dynamic region of the Southeast U.S. Representatives from the Ministry of Economy and Finance, from the Ministry for Ecological and Inclusive Transition and from the Ministry for Regional Cohesion met over 200 business leaders, academia, government officials and economic development practitioners, looking at how these two states are transitioning from a rural based economy to a manufacturing powerhouse and a hub for research and innovative fields. Meetings included Duke University, the North Carolina State University, the North Carolina Department of Commerce, the Research Triangle Regional Partnership , bioMérieux, the Greenville Technical College, Clemson University, Upstate SC Alliance, Capgemini, Michelin, the South Carolina Department of Commerce and Department of Transportation. France trades $5 billion every year with the two states and French companies have created 15,000 jobs in North Carolina and over 20,000 jobs in South Carolina. This visit took place with the support of the French American Chamber of Commerce of the Carolinas.